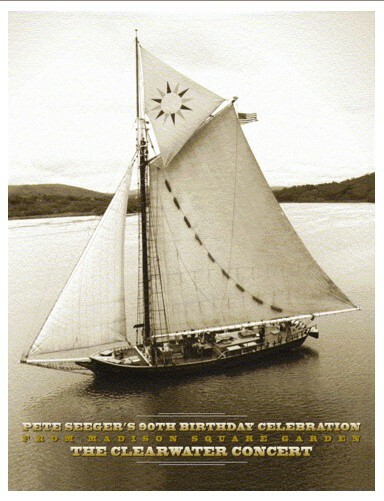 Living in New York for almost the entirety of my life — first Long Island, then Brooklyn, then upstate (Albany, then Delmar, near the Hudson River) — I’ve seen Pete Seeger on many occasions. I’ve even stepped on his boat, the famous Clearwater. Stood and applauded the man. Taken some money out of my pocket to contribute to his latest good cause. It’s funny, I thought he was an old guy the first time I saw him, at a folk festival 30 years ago. And after that, all he did was persist. He kept keeping on, believing in good things, fighting the fight. 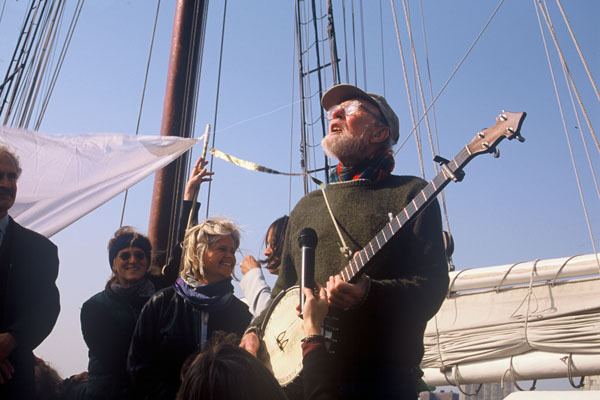 Pete Seeger had great integrity of purpose. And soulfulness. It doesn’t happen often, but sometimes when you meet a person, you feel it: “Wow, this is a great man.” An awareness that you are in the presence of a truly evolved individual. He (or she) is elevated somehow. I can name a few dozen folks over the years, men and women, celebrities and neighbors, authors and near-strangers. You recognize something deep and good in that person. A spirit, a kindness, a wisdom. For me, Pete Seeger had that. And each time I’ve experienced the contradictory sensation of feeling both small and strangely ennobled. Small, because I was not there yet, probably never would get there. Too petty, too selfish, too unkind, too Jimmy. And yet lifted up somehow just by the proximity, because here I could see it, sense the possibility: What it means to be a really good person in this world. We need those beacons, shining that good pure light.